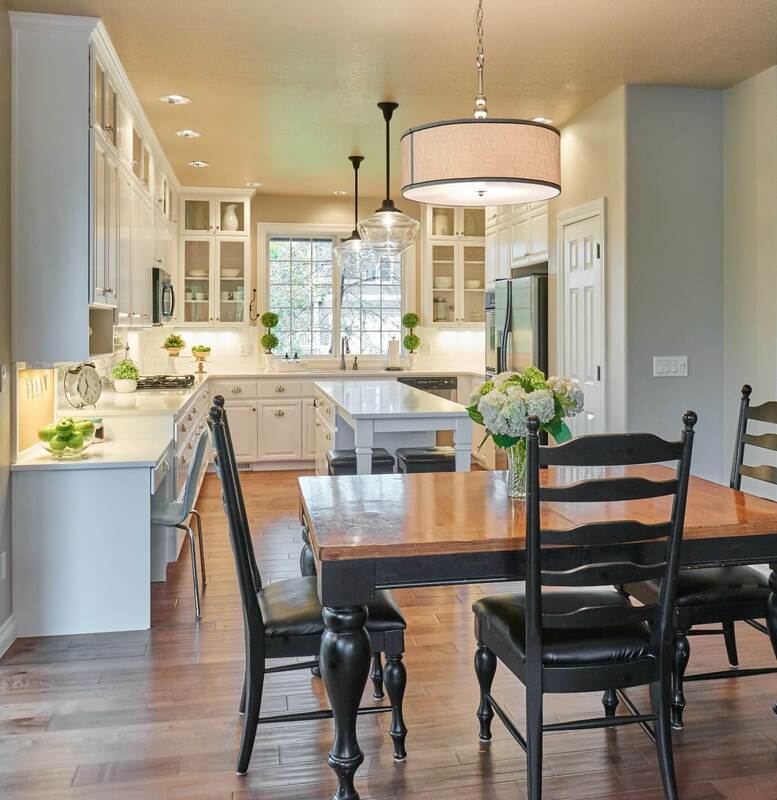 Creating this white schoolhouse kitchen in Corvallis was a designer’s dream. 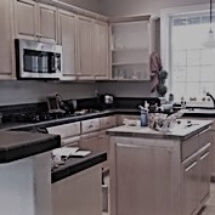 Prior to the kitchen remodel, this home had maple, raised panel cabinets with brown tile countertops, no backsplash, and a small butcher block-topped island. A peninsula with a raised bar top and the presence of a large central post created a visual separation. These features closed off the kitchen from the dining and living areas and disrupted the flow of the spaces. 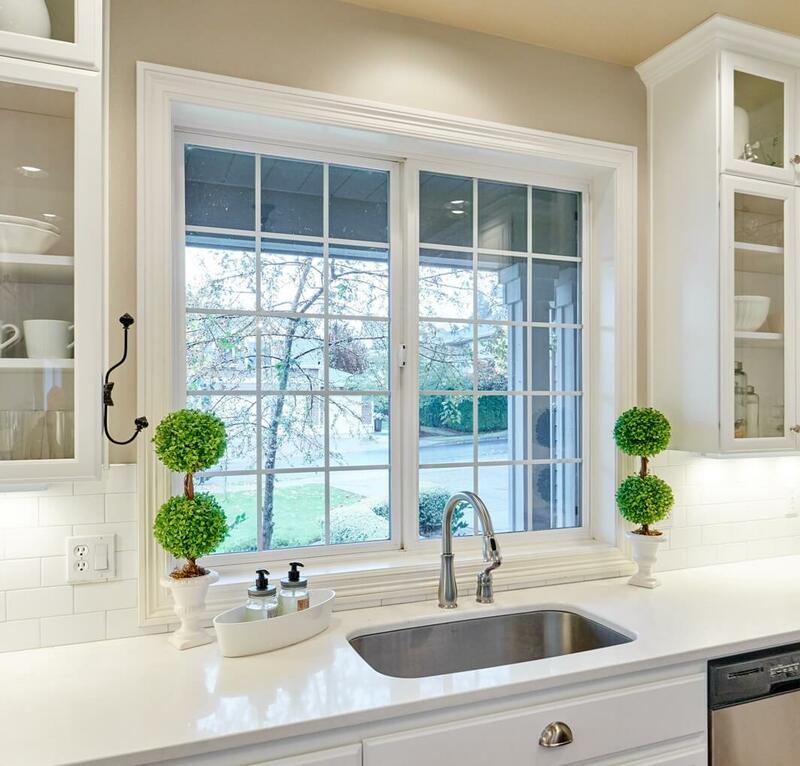 The homeowners had a clear concept of how they wanted to live and move in their kitchen and living areas, and the disruptive post was NOT in their vision. We removed the post, using large beams hidden in the ceiling to carry the load, and removed the peninsula and small island. 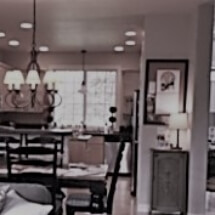 Instead, the kitchen now features one long island with integral seating and pendant lighting above.The new layout is both beautiful and functional, and allows for much better traffic flow through the spaces. 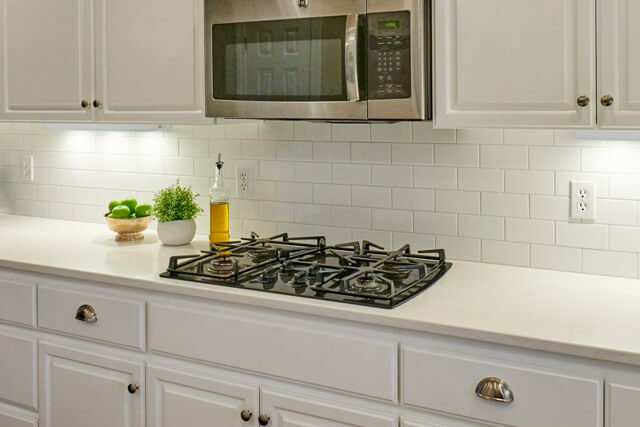 We completed the renovation by painting all of the existing cabinets white, adding second-tier upper cabinets for display storage and visual interest, and installing new cabinet hardware. 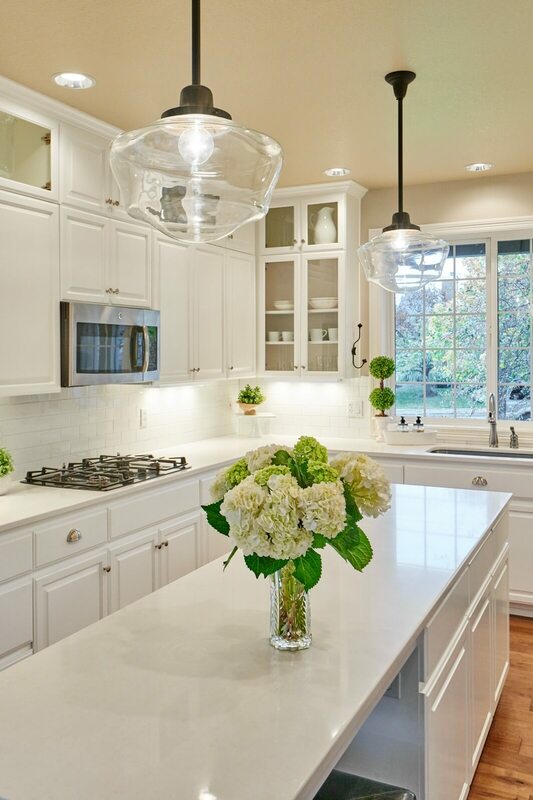 Caesarstone “Organic White” countertops and a white subway tile backsplash complete the look. 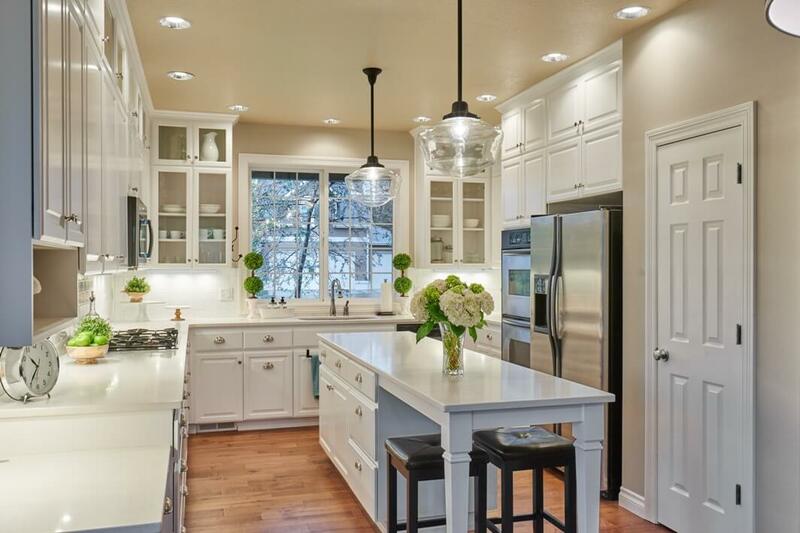 Hand-scraped maple floors work beautifully with the new white cabinetry. Extending the same flooring into the living room and throughout the first level ties the spaces together visually. 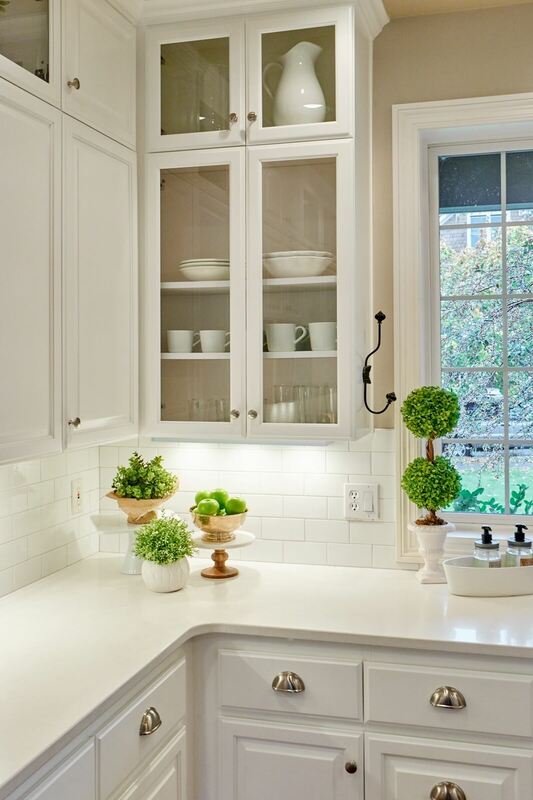 The homeowners have a real sense of style and put their own signature on the kitchen with inspired selections. 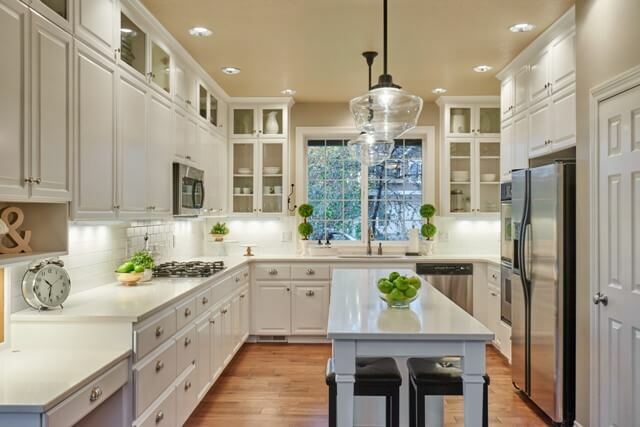 Thoughtful changes combined with timeless design resulted in a bright and open kitchen for the family and guests to enjoy!